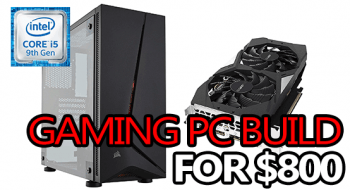 If you're looking to build a powerful gaming PC easily capable of maxing games out in 1440p for $1200, this is the one you need! The powerful RTX 2070 is well-equipped to handle 1440p-4K gaming and it's seriously going to blow your mind when paired with the AMD R5 2600x and 16GB of 3000MHz DDR4 RAM! 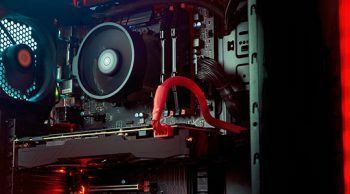 This build is exactly what you're looking for if you want to build a strong PC capable of delivering smooth, immersive gameplay AND being able to tackle some streaming and things like that. When it comes to this build, there really aren't many ways it could be improved upon without spending a lot more. Without drawing this introduction out any longer, let's get down to the build! Mid-tower ATX case with a great layout. 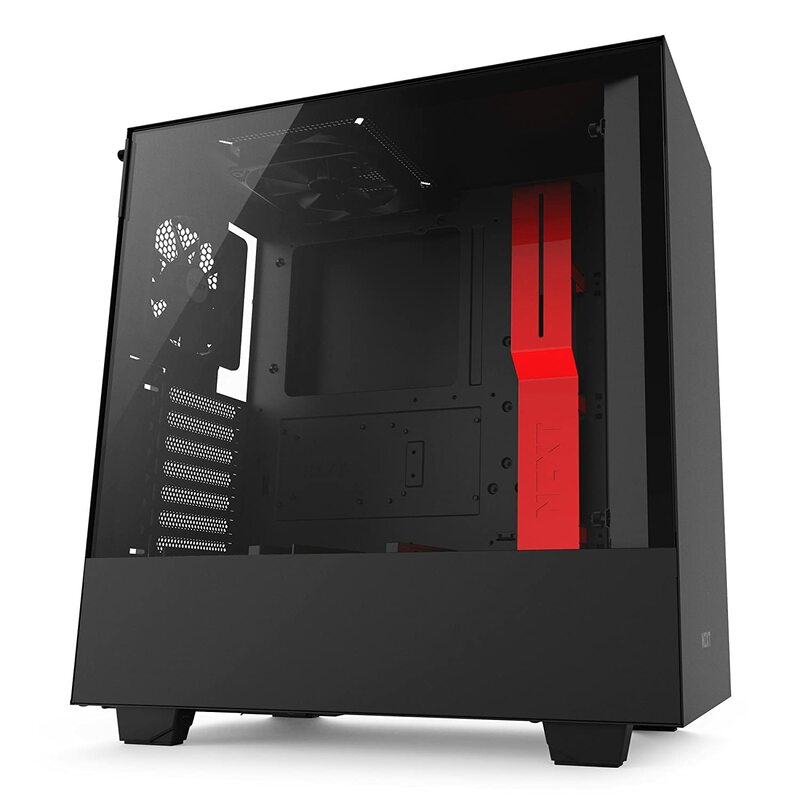 Features a big tempered glass window, full PSU shroud, and 2x 120mm fans. A great AM4 socket motherboard running the X470 chipset. 6x SATA + 1x M.2 NVMe. Integrated optical + 7.1 audio. 8x USB ports. AMD’s 2nd generation Ryzen 5 processor. 6-cores + 12-threads @ 4.2GHz boost clock. Can be overclocked and comes with a stock CPU cooler (AMD Wraith Spire). 8GB GDDR6 GPU. 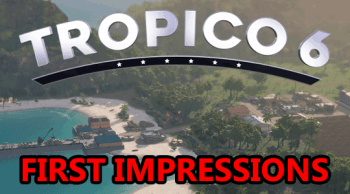 Solid 1440p + 4K gaming performance! Can outperform a GTX 1080! 650W fully-modular Bronze rated power supply; up to 85% efficiency – this PSU won’t let you down! 2x8GB 3000MHz dual channel pair, CL15. 1TB, 3.5 inch, 7200 RPM HDD. 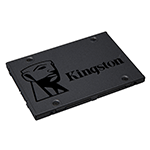 2.5 inch SATA-based SSD; 500MB/s read, 350MB/s write. Although not entirely necessary, some add ons like optical drives can sometimes improve your experience. Others, like an operating system, are significantly more crucial. If you’re installing your operating system from a disc opposed to a USB flash drive, then you’ll definitely need an optical drive. 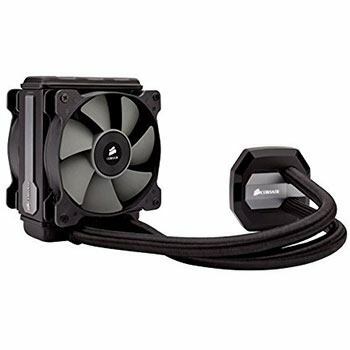 Instead of air cooling for your CPU, why not try a closed loop liquid cooler? Corsair’s Spec 02 case is guaranteed to work with the H80i. 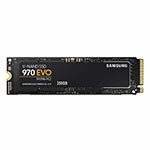 An M.2-based NVMe SSD like the 970 EVO is a step up from basic M.2 or SATA SSDs. They offer significantly more speed, but at a higher price /GB in comparison. 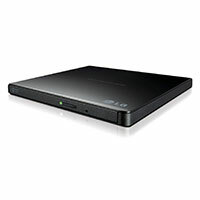 With more and more cases moving away from internal 5.25″ bays for optical drives and things of that nature, external ODDs have become increasingly popular, like this one. 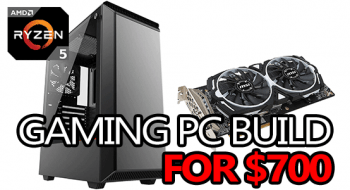 For right around $1200, this R5 2600 + GTX 1080-powered gaming PC is absolutely insane! It has more than enough power to completely blow your mind over and over again as you try your favorite games on it in either 1440p or even 4K! Case: The NZXT H500 is an awesome mid-tower ATX case that takes everything the S340 did well and improves almost everywhere. It comes with everything you'll need right out of the box, including the mounting hardware you'll need and 2x 120mm fans. It can easily support custom or AIO watercooling setups with radiators up to 280mm. That all being said, there are lots of other cases that would work great for this build, so to make sure that your build is really your build, make sure you pick the case that you like best! 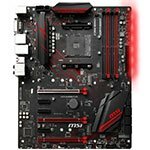 Motherboard: The MSI X470 Gaming Plus is a great ATX sized, AM4 socket, X470 chipset motherboard. It comes with everything you’ll need for the components in this build as well as the majority of any future upgrades you might undertake. It gives you a plethora of USB options including multiple USB 3.1 ports, 6x SATA ports, an M.2 NVMe slot, and room for 4 sticks of RAM just to name a few. On top of that, you're also getting on-board RGB control headers, support for both SLI and Crossfire GPU configs, and high-quality integrated audio as well as Ethernet. Processor (CPU): AMD's 2nd generation Ryzen processors are complete and utter beasts; and the R5 2600x is absolutely no exception. This 6-core/12-thread processor has a boost clock speed of 4.2GHz across all 6 cores which results in a ton of gaming potential. The R5 2600x is a unlocked CPU meaning it can be overclocked without an issue. Although the R5 2600x comes with a good stock CPU cooler from AMD, upgrading it would not be a bad idea by any means - especially if you want to push high overclocks. If you want to do that, check out my list of the best air and liquid CPU coolers! Graphics Card (GPU): The 8GB RTX 2070 is a complete and utter powerhouse when it comes to 1440p or even 4K gaming - to an extent. EVGA's RTX 2070 Black Edition, is a great performer with solid cooling and it's easily one of the best-priced options available right now. It doesn't look that great though, in my own personal opinion. Raytracing aside, an RTX 2070 will outperform a GTX 1080 in both 1440p and 4K. 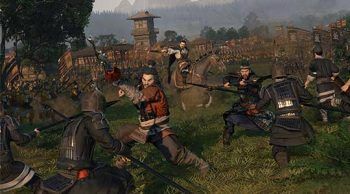 In fact, the performance difference between an RTX 2070 and a behemoth like the GTX 1080 Ti is often a matter of 10FPS or thereabouts; there's not a tremendous difference in any event. Out of all the RTX cards, the 2070 undeniably holds the best value. For now. 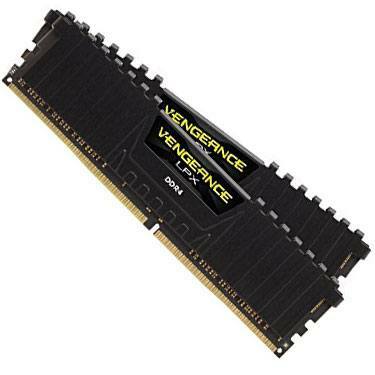 System Memory (RAM): 16GB of 3000MHz DDR4 RAM is a great amount and speed for a gaming PC at this level. Corsair's LPX lineup is really awesome which is probably why it has nearly 5-star reviews pretty much everywhere. That said, there are other options available that come with LED lighting and things like that if you're looking for something a little different. 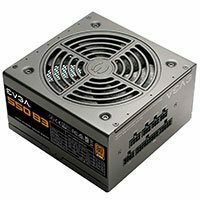 Power Supply (PSU): EVGA's 650 B3 is a good 80+ Bronze rated power supply with a semi-modular form factor and 5-year warranty. Being that this is a fully-modular power supply, it will make cable management not only easier but result in a cleaner finished product as well. 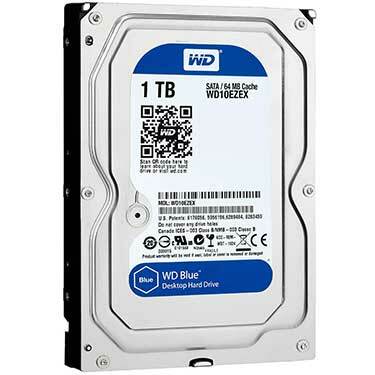 Storage: As far as storage goes, I picked you out a relatively standard HDD/SSD combo, and you're going to have 1.24TB of space between the two drives, with the HDD holding 1TB and the SSD with 240GB. I would suggest installing your operating system to your SSD, as well as any games/programs you're going to use a lot. Everything else can go on your HDD. Storage can be expanded well beyond the default amount, so feel free to add larger or more drives as you deem necessary. All-in-all, this build is phenomenal, for $1200 you'd be hard-pressed to get a better gaming PC anywhere, and that's a fact. When it comes down to picking an operating system for your build, you have a couple of options. One is free, the other is about $100. 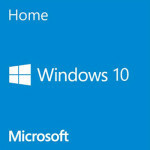 Windows is the first, and probably best option for the most people - specifically Windows 10. Not only is DirectX 12 a Windows 10 exclusive, but if you're looking to play some Forza Horizon 3 on your new PC, well, it's also a Windows 10 exclusive. 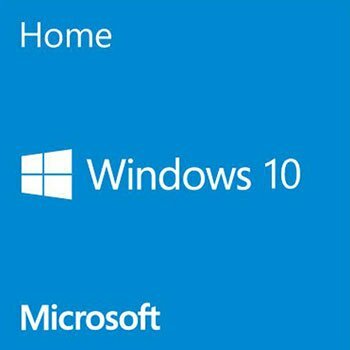 When it comes to picking out your copy, Windows 10 Home is all that's necessary, and you even have the option of buying an OEM disc or the significantly faster USB flash drive installer. The free option would be downloading a copy of a Linux-based operating system like Ubuntu and going from there, there are other options but Ubuntu is generally the best. Although pretty decent, there are some downsides to running a Linux-based system, like less compatibility for games / programs. 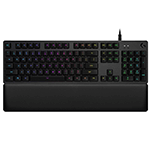 If you don't already have these basic peripherals, you're definitely going to want them. At the very least you're going to need a keyboard, a mouse, some kind of audio, and a monitor. Luckily for you, we've featured some awesome products to cover each of these basic needs, just check them out! Since picking a good monitor can often be a very subjective choice, I've put together this guide on how to pick the best monitor for gaming. One of the most important parts of putting together a good battlestation is ergonomics. Without a good, ergonomic chair to use, you're going to be uncomfortable and you won't enjoy your gaming sessions as much as you should. Because that's definitely not what I want, I've put together this buyer's guide containing 16 of the best chairs to use for gaming. 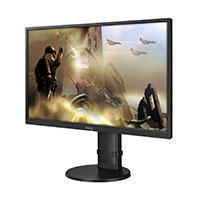 A very solid 27-inch 1440p 60Hz monitor with a 1ms response time. Romer-G mechanical switches. Customizable RGB backlighting. All-around amazing keyboard! 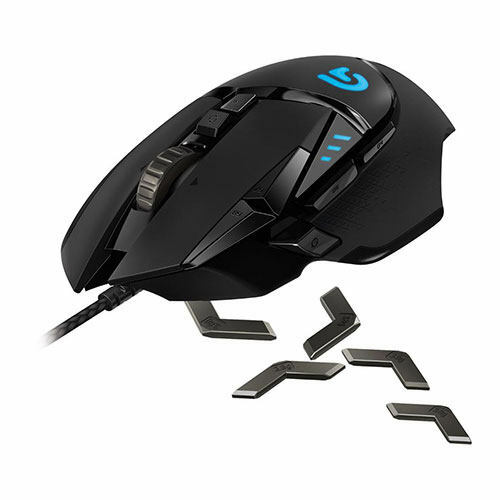 Logitech’s G502 HERO is an awesome gaming mouse offering great accuracy and a lot of comfort! 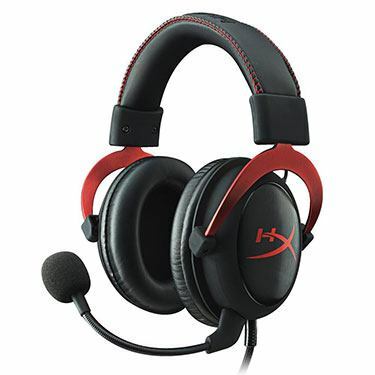 Kingston’s HyperX Cloud 2 is an absolutely amazing headset that’ll completely blow you away! 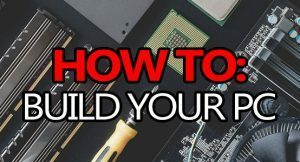 Personally, I prefer using a wired internet connection over a WiFi connection, and this build would support that right away. But, if you absolutely have to use a WiFi connection, then you're also going to need some kind of WiFi adapter. 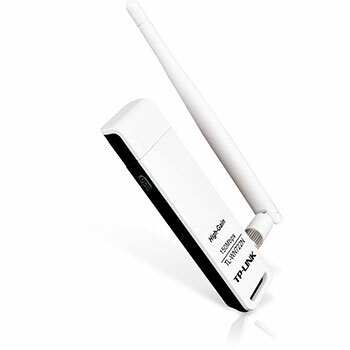 When it comes to actually picking a WiFi adapter, it's a little more complicated than simply picking the cheapest option and plugging it in. Sure, you could do that, but it wouldn't deliver a great experience in most cases, especially not when you might be able to spend just $10 more to get significantly better speeds. First, you should determine whether or not your router runs on the "N" or "AC" standard. N is older and only offers support for the 2.4GHz band (not great for gaming) where AC supports both 2.4GHz and 5GHz. Ideally, 5GHz is the band you want to be using for any kind of online gaming as it offers the best performance, but N will work if it's all you have. Next comes time to actually pick your adapter, it should be the same standard as your router. This is because you don't need (and won't get better performance) if you're using an AC adapter with an N router. But, if you have an AC router, you don't want to miss out on taking advantage of the 5GHz band by cheaping out on an N adapter. I hope that makes sense, because here are some suggestions! 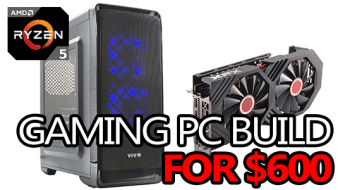 For right around $1200, this build will keep you comfortably gaming for years to come. No big upgrades will be needed for a reaaaaally long time, and it's not going to have any issues running games maxed out for the same amount of time. The GTX 1080 is a complete beast and it's going to blow your mind, I just know it! 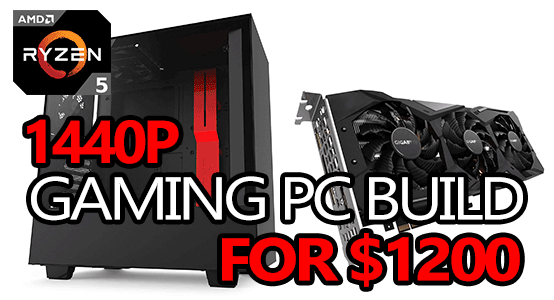 This PC is really a thing of beauty, you would be seriously hard-pressed to find a better $1200 build anywhere. 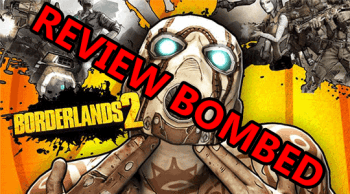 This badass build is using some of the newest and best hardware that you could use, and it's going to be noticeable from the first time you boot up your favorite game! As always, if you have any questions, comments, or whatever else, feel free to leave it below! That depends on the resolution & settings, but assuming 1440p on max settings… You’d see around 100fps in Fortnite and around 200fps avg in CS:GO. Yep, absolutely. The NZXT H500i will work great. I actually just used it in a build about a week ago. And could you give an example of said upgraded part? In a gaming PC, you’ll almost always get the biggest jump in performance by upgrading the graphics card. For this build, you’d want to upgrade the RTX 2070 to no less than the RTX 2080. 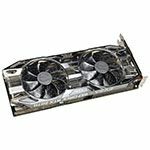 A couple of good options would be either Gigabyte’s RTX 2080 Windforce or Asus’s RTX 2080 ROG Strix. Hello, Branton! I’m new to building and am considering this build to be my first. Im just wondering if i decide to upgrade anything in the future if that will cause any problems. Or if there are any issues with compatibility of parts with other parts. Thank you! 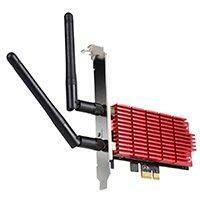 You should have no problem with compatibility as that’s usually found with upgrading the cpu. The good news is that Ryzen 3.0 is compatible with x470/b350 as long as you update the bios. Well Branton, we finally finished the water cooled rig and it’s looking great. Awesome! I’d love to see pics of it if you wanted to upload some to imgur then drop the link here!